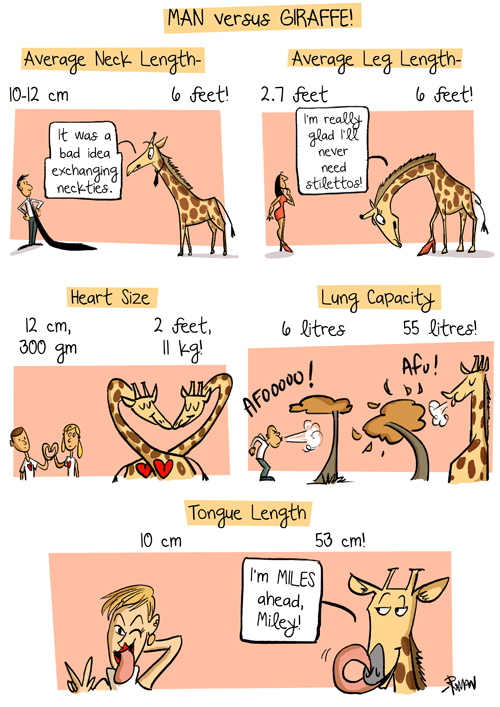 A comic that compares giraffes with us, done for my page with the Turkish kids' magazine Arastirmaci Cocuk. The comic appears originally in Turkish, in this month's issue of the magazine. Subscribe here.